Twenty years ago, the press had a field day with a small study published by a California researcher, much to the surprise of the author. The public’s imagination was caught by headlines that proclaimed “Listening to Mozart Makes You Smarter,” or “Music Makes You Smart.” An entire industry grew from the idea that listening to music would improve cognitive development in other areas. This past December, the publication of a Harvard study led to headlines such as “Music Doesn’t Make You Smarter After All.” So does it – or doesn’t it? And does it matter? The study found that the spatial IQ scores were 8 – 9 points higher after listening to Mozart as opposed to either the relaxation tape or silence. Several facts in the paper pointed to the narrow focus of the study: 1) the effect didn’t last for more than 10 – 15 minutes; 2) the results applied only to spatial-reasoning skills; 3) effects were unknown with other composers since Mozart was the only composer used; and 4) the authors suggested that listening times could be varied to see if any other measures of general intelligence (verbal reasoning, quantitative reasoning, short-term memory) might also be facilitated. The study made no claims about general IQ because it wasn’t measured in this study. Rauscher apparently thought that the findings in this study were rather “neat,” but didn’t think anyone else would be particularly interested, and she was unprepared for what came next. The Associated Press called her before she even knew the paper was published, and once the AP printed a story about it, the “Mozart Effect” was born. 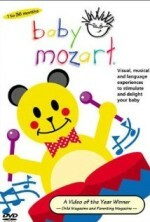 (Rauscher never used the term “Mozart Effect;” that was coined by a journalist.) News outlets from the New York Times to the BBC picked up the story, carrying headlines like the ones in the first paragraph above. Rauscher’s study, which was conducted with college students, never suggested that listening to Mozart made you smarter. Somewhere along the line, however, the hype turned into “Mozart makes babies smarter,” and not only did Georgia Governor Zell Miller ask for $105,000 in his 1999 budget to provide a classical music CD to every baby born in the state of Georgia, Julie Aigner-Clark (also in Georgia) produced her Baby Einstein series (including Baby Mozart), which became a huge commercial success and was eventually bought by Walt Disney. This was all a far cry from Rauscher’s study about a very modest increase on one spatial temporal task after college students listened to Mozart. Let’s fast forward to December 2013 and a paper published by Samuel Mehr and colleagues at Harvard titled “Two randomized trials provide no consistent evidence for nonmusical cognitive benefits of brief preschool music enrichment.” (Love these research study titles!) 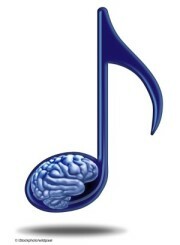 Again there has been a lot of hype in the press – this time with headlines such as “Muting the Mozart Effect,” and “Music Doesn’t Make you Smarter After All.” As gleefully as the press proclaimed 20 years ago that music makes you smarter, they are now happily saying that it doesn’t. And of course, in the 20 years since Rauscher’s study, everyone now uses the web, so blogs and webzines also contribute to the negativity. Second, in the 20 years since Rauscher’s study, two separate areas of research have developed: one having to do with the effects of listening (sometimes to a particular work such as the Mozart) on spatial-temporal cognition, and the other looking at the effects on cognitive performance of actually practicing an instrument. But they have often been lumped together under the heading of the “Mozart Effect,” not only by the general public and the press, but also by researchers who ought to know better. 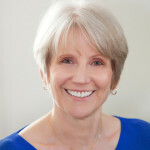 In a paper published in Educational Psychologist in 2006 and certainly meant for the research community, Rauscher, who has remained involved in music research throughout her career, felt compelled to point out the difference in the two research tracks and address some of the misperceptions. Third – the Harvard study. Mehr’s intent was to investigate the cognitive effects of a series of music classes on 4-yr. olds compared to similar instruction in classes on the visual arts. He ran two studies. In the first, fifteen 4-year olds and their parents attended six weekly 45-minute music classes and a similar group of fourteen 4-year olds and parents attended visual arts classes. In a second study, twenty-three 4-year olds and parents attended music classes and twenty-two were assigned to no classes at all. Children whose parents were professional musicians or who were taking music lessons were excluded. Mehr himself taught all of the classes (both music and art) – the music classes being similar to Kindermusik or Orff-Schulwerk with singing, movement activities, rhymes and songs with fingerplay, etc. The activities were designed to promote play between parents and child. The visual arts classes were designed to be similar, fostering play between parent and child through visual arts media. Researchers tested the children after the six classes for skills in spatial, linguistic and numerical reasoning – found no differences between the groups – and thus concluded that there is no evidence that exposing preschoolers to music gives them an advantage in cognitive development. I should add that, if the children didn’t feel like doing the musical activities, they could do other things in the room. And while parents were given handouts with music notation and lyrics that they could use at home if they wished, there was no tracking to see if parents were actually engaging in musical activities with the children at home. Mehr cited as evidence of parental involvement the fact that many parents contacted him with questions between class sessions, but that certainly doesn’t mean that they were actively involved with their children each day in musical activities. What about a longer time period – a year or two? And what about more controlled parental involvement – as in Suzuki – ensuring that the children were actually involved in music activities every day? The odd thing is that Mehr has a degree in music education. One would think that he would know – from a musical standpoint, if not a scientific one, ­ that 4 ½ hours is too short a period of time for such a study. But Mehr’s study is being used as proof that “music doesn’t make you smarter.” He has several interviews online, wrote an article for the New York Times, and has had his research covered in other news outlets. There are a number of researchers who have done some quality work in the area of music study and transfer of cognitive abilities and we’ll look at some of those in future posts, but I don’t think Mehr’s study adds anything conclusive to the discussion. It has, however, certainly attracted the press. Somewhere along the line, the importance of music began to be seen in terms of its value in other areas. Parents enroll their children in music lessons because it will make them smarter in other areas. Music educators point to the many studies that have shown the cognitive value of studying music to convince boards of education, state legislatures, and funding agencies that music is valuable and should not be cut. Let’s face it it, we’re often put in the position of having to justify the value of music in our public schools, universities and community organizations, and sometimes, referring to added value appeals to those who control the money. So the question isn’t going away – and in a future post we’ll look at some studies that show that practicing an instrument in childhood does, in fact, enhance verbal ability and abstract reasoning. On the other hand, I find myself in agreement with Mehr on one very important point. At the end of his paper, he points to the primary benefit of music education for parents and children: “to improve musical skills and repertoire. . . along with their appreciation and enjoyment of musical activities.” I agree. We should be teaching and making music for its intrinsic value, for the cultural knowledge it conveys, and for the sheer joy of making music – not for the benefits it may give us in math class. This entry was posted in Cognition and tagged Frances Rauscher, Mozart Effect, musical training, Samuel Mehr, spatial-temporal cognition on February 1, 2014 by Lois Svard. The ‘experiment’ is most easily explained by another such experiment that lead to false conclusions. As students in any introductory course are taught, in the 1920s Westinghouse arranged for an industrial firm to determine the most efficient quantity of light for garment piece-workers to be productive.. Noting that the illumination was being changed every day, the ladies (and they were all women workers) worked harder when the light was brightened, not because of the value of the light, but because it was something different. The ‘Westinghouse effect’ refers to the fact, often observed, that a change in the environment temporarily alters productivity. Nature magazine is, of course, one of the two most respected science journals in the world. It is difficult to imagine how the Mozart study got through reviewers with the flawed conclusion from a flawed design. I agree with you. The methodology of Mehr’s study is shaky, to say the least. And, of course, the attention span of the press is measured in milliseconds. The study should be re-done, properly set up.